The girls are always on the move, they just can’t sit still. 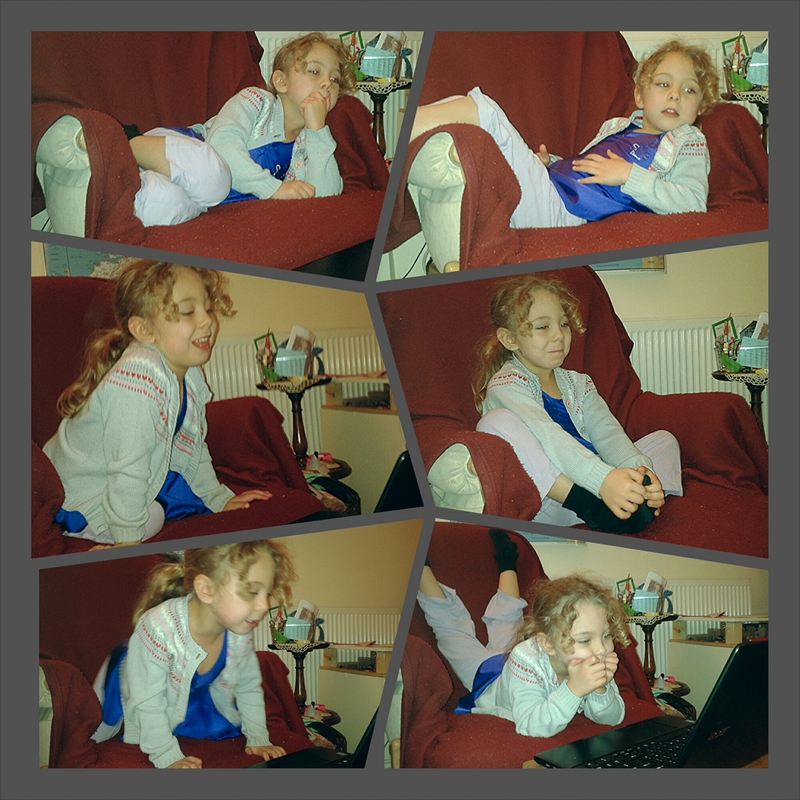 This evening, Erica was watching since CBeebies and changed position every few minutes, all great for balance, strength and flexibility. When the girls are sitting together it can be like a game of twister! The girls needed a car picnic today to have on the way to their music group. 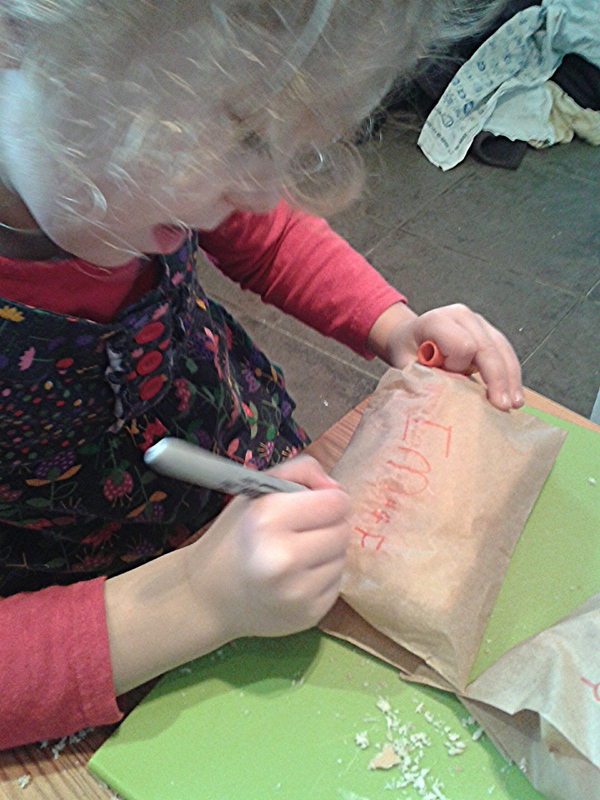 Erica helped make the sandwiches and then made sure they would know which was theirs by writing names on the bags. Literacy is everywhere! 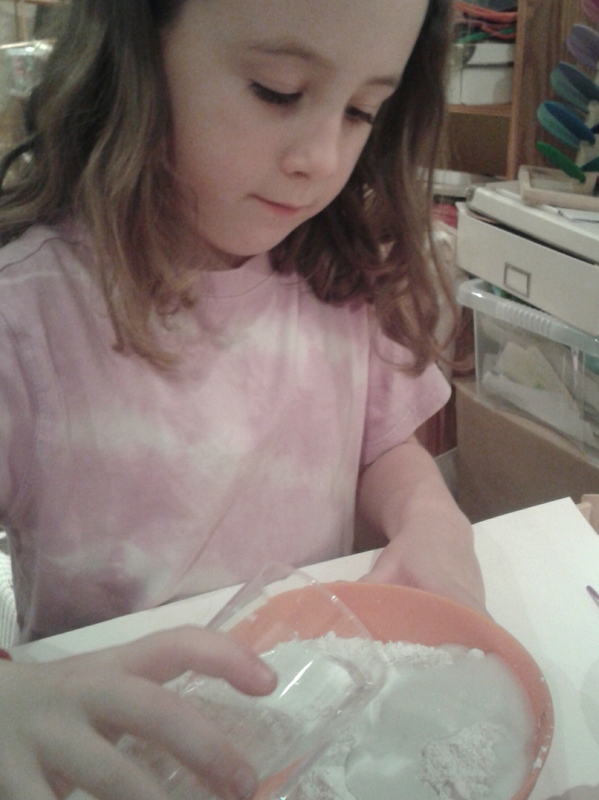 Imogen got a volcano kit for Christmas and yesterday decided to give it a go. First she had to mix the plaster, pour it into the mould and then leave it to dry overnight – the last part was the hardest! Today she’s been painting it. Not exactly realistic colors, but she’s done it herself and had fun mixing the colours and deciding what splash of colour to add next. 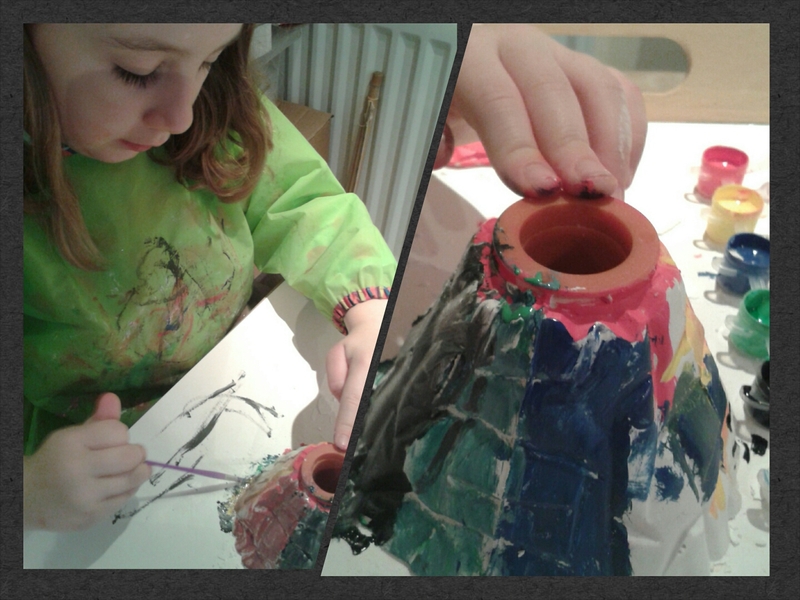 Now she’s having to wait again for the paint to dry thoroughly before she can make the volcano erupt. 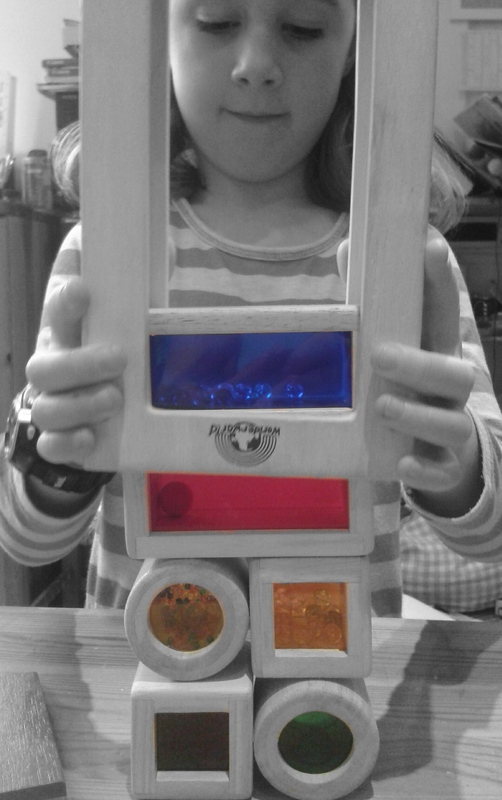 We love this game, fun and simple with plenty of learning: reading the instructions to check how many points each colour is worth; fine motors skills and observation once the game is underway; maths to add up all the points. 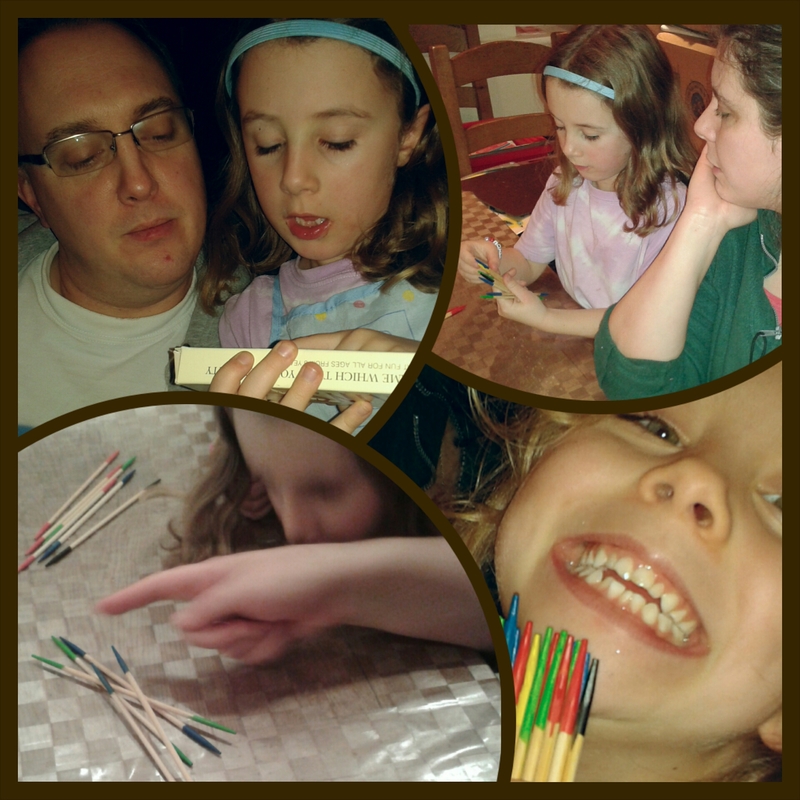 And then there are the social skills of playing fair, taking turns and, of course, winning and losing! No photo today. I’ve been at work for most of the day, and when I’m not around photos don’t always get taken! Once a month at church the children have their own praise service, rather than their usual Kingdom Kids teaching groups. 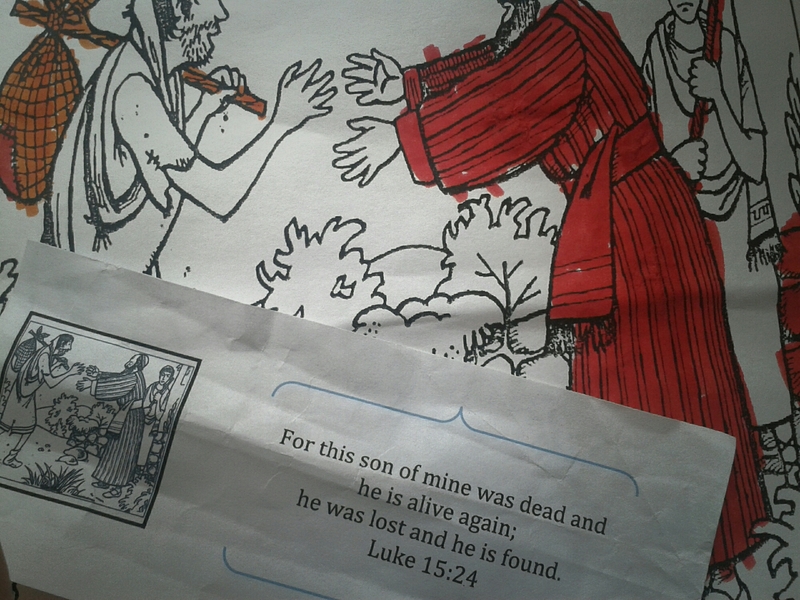 Today they looked at the story of the Prodigal Son. On their return to the main church service, they tell us what they have been doing. Today I was so proud when Imogen eagerly volunteered to read out the key verse. Yes, she needed help on some of the words, but this is a girls who has not been ‘taught’ to read. She has just enjoyed books and we’ve always read together. 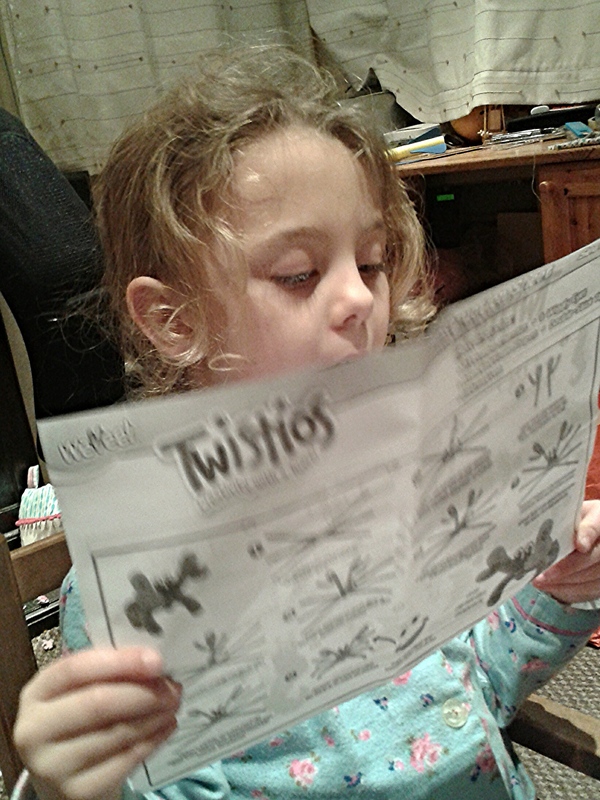 We have trusted that, in her own time, she will learn things that are important to her. And today was a big reward for that trust. We’ve been to see Erica’s Godfather today and she received a gift from him – lovely big pipe cleaners in a kit to make some sea creatures. As soon as we got home she insisted on making the whale, and then was perusing the instructions to make the seahorse tomorrow. We don’t do very much formal teaching, it’s all about learning as we live. 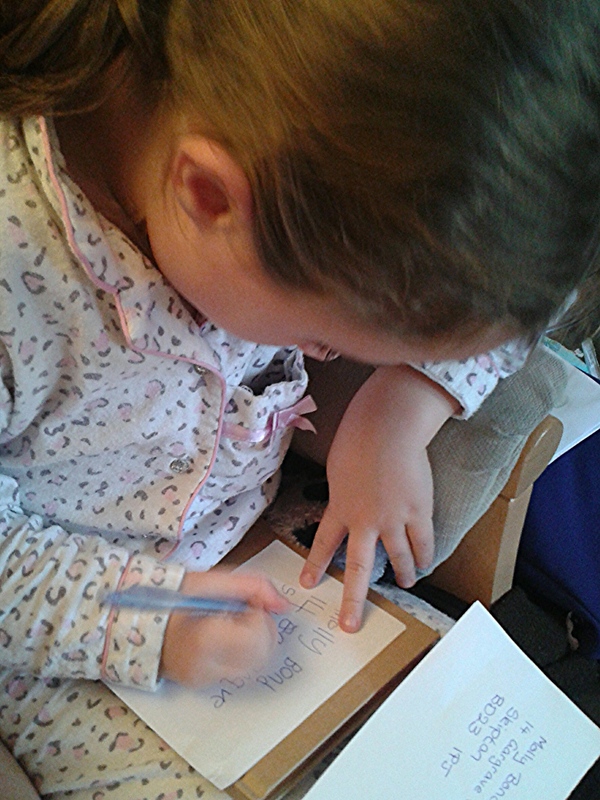 Today Imogen’s wiring practice was in the form off addressing a parcel to her cousin. I wrote out the address clearly so she could copy it, and she knew she had to write neatly so the postman would know where to deliver it to. We also had a discussion about the important parts of the address – making sure the house number and postcode are really clear. When we go to the supermarket the girls like to get involved. 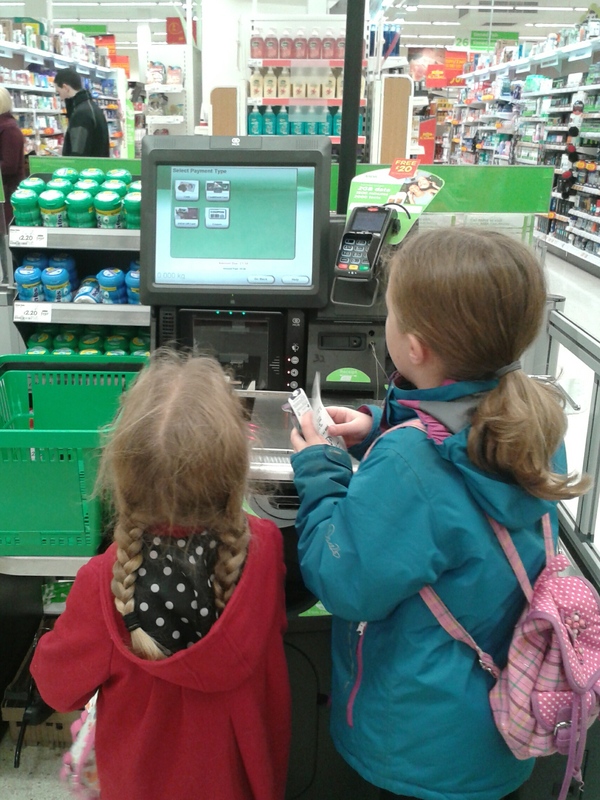 Today we were there for a big shop, but the girls wanted to pay for something in the self checkout so we kept a couple of things back from the main payment. They scanned the items, read how much it cost, came and got the right money from my purse and then completed the process. Everyday things like this teach the girls so much – real, useful things.